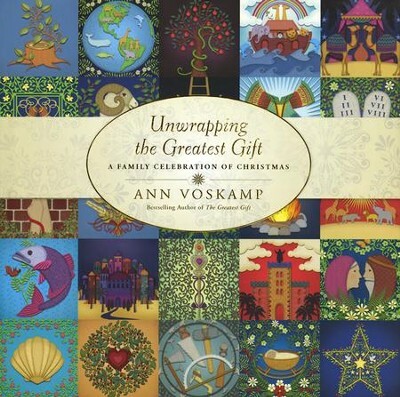 Unwrapping the Greatest Gift is a book like no other - it's your own larger-than-life Advent Calendar, opening up to 25 wondrous stories that tell the family tree of Jesus, from Creation to His Coming. Each day's story has its very own ornament, one for each day of Advent - all unwrapping a bit more of a story that's far better than the greatest fairy tale you've ever read - because this story is all true. So come Christmas day - your kids, and your Christmas tree with all 25 ornaments, will be telling the full love story of Jesus’ coming, right from the very beginning! 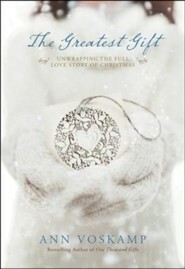 What better gift to give the whole family this Christmas than the wonder of the full love story of Jesus? 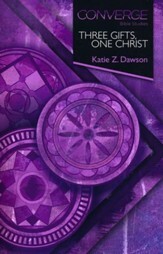 Full colour, vibrant 2 page spreads; romping, shimmering words; for every kid from ages 4- 94. 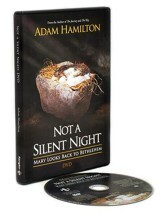 Please Note:Actual ornaments are not included with this book. Instructions given on page 3 on how to create a Jesse Tree and create ornaments. 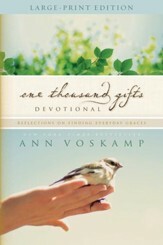 Ann Voskamp, bestselling author of One Thousand Gifts and A Holy Experience blog, is a writer with DaySpring, a contributing editor to Laity Lodge's The High Calling, and a global advocate for the poor, traveling several times a year for Compassion International. With a background in psychology and education from York University and the University of Waterloo, Ann and her husband are farmers in the Mennonite countryside of Ontario, raising a half dozen kids, crops of corn, and the roof of praise. She writes about the everyday wonder on her blog. 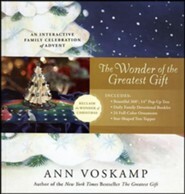 I'm the author/artist and I want to review Unwrapping the Greatest Gift: A Family Celebration of Christmas.